Welcome to our new subscribers and we hope all of our readers are enjoying the summer. The vibrant Long Island beer scene continues to expand with new breweries, new beers and new events, and LIBeerGuide.com is your place to stay on top of it all. We also post more news and info on our social media feeds, so like our page on Facebook and follow us on Instagram and Twitter. We look forward to connecting with you! 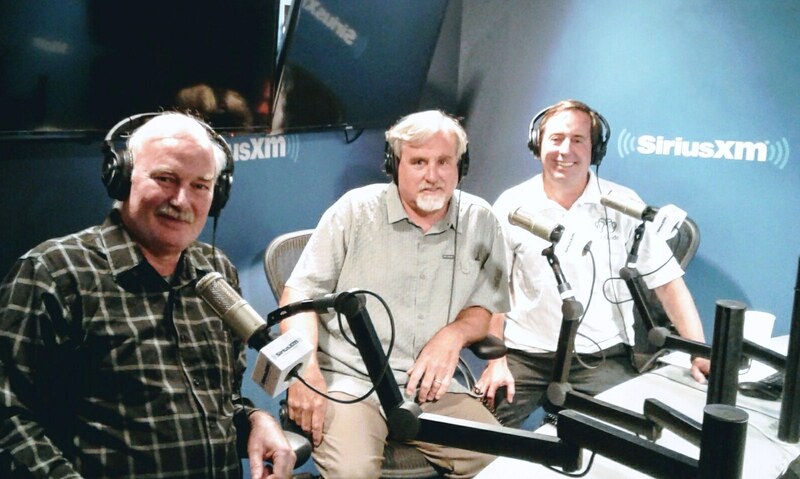 Bernie Kilkelly of LIBeerGuide.com was recently a guest on the SiriusXM Stars show "Tastemakers" along with Mark Burford, a founder and brewmaster emeritus at Blue Point Brewing, and Joe Bair, owner of Princeton Homebrew. The panel discussed craft beer with host Pauline Brown, including food pairings, homebrewing and recent trends in the craft beer market. Special thanks to Pauline and to Mark for the invite to be on the show and talk about our favorite topic! A replay can be streamed on Soundcloud at this link (registration required). (l to r) Joe Bair, Mark Burford, Bernie Kilkelly on SiriusXM Stars "Tastemakers with Pauline Brown"
Blue Point Brewing in Patchogue has partnered with Save the Great South Bay Inc., a non-profit organization dedicated to the revitalization of The Great South Bay, to raise funds and awareness of clean water issues. Blue Point brewed a special new beer, Drink the Bay Clean India Pale Lager, with proceeds going towards supporting Save the Great South Bay's Creek Defender Program. Brewed under the direction of Blue Point's brewmaster emeritus, Mark Burford, the new beer has floral notes from Calypso hops donated by Hopsteiner, giving it the quick bite of an IPA but the crisp refreshing taste of a lager. Also involved in the charity effort were Jim McCune, executive director of the Craft Beverage Division of EGC Group, and Reid Carleton of Carleton Clothing, who helped design the brand art. Drink the Bay Clean Lager was introduced at a launch party at Blue Point on June 10, to mark World Environment Day. The beer is available at the tasting room in Patchogue and select locations, with national distribution planned by next summer. 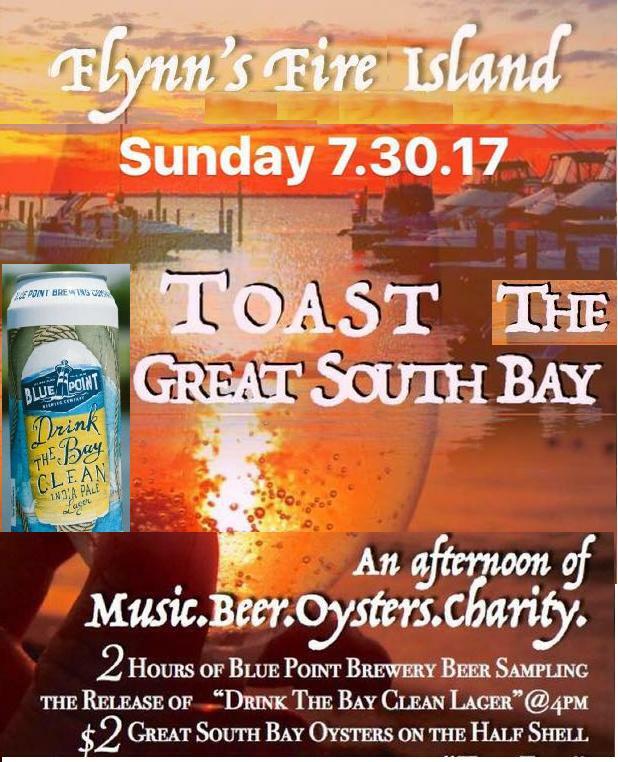 A special event, Toast the Great South Bay, will be held at Flynn's Fire Island on Sunday, July 30, with two hours of Blue Point beer sampling including Drink the Bay Clean Lager. The Long Island beer scene continues to expand with the opening of new breweries and tasting rooms. Harbor Head Brewing Company in Northport officially opened for business in June with cans and growlers for sale, including the popular Beach Blonde Ale. Right now beers are only available on tap next door at The Whales Tale restaurant, but a tasting room at the brewery is expected to open later this year. Harbor Head’s location is no accident since Whales Tale owner Sosh Andriano is the lead partner in Harbor Head. The new brewery uses a 5 barrel system under the direction of master brewer and Northport native Rich Ruggiero. Harbor Head is the second brewery to open in Northport, joining Sand City Brewing which opened in 2015. Watch out for a new LIBeerGuide Destination Guide to Northport coming next month. On the North Fork, Jamesport Farm Brewery will have a Grand Opening of its tasting room on August 26 featuring live music and limited release beers. The new brewery is in an old potato barn on the grounds of a 43 acre farm on Sound Avenue, where the nursery Plant Connection and hop farm L.I. Hops are located. Melissa Daniels and Tony Caggiano, the owners of L.I. Hops, are partnering with Russell Ireland on the new brewery. They expect to use 70 to 100 percent of their own ingredients, including hops and barley, in making their beers, which would be a first for a New York State farm brewery. Tweaking Frog Brewing Company is in the process of setting up a new brewing system in the same space as Jamesport Farm Brewery. Tweaking Frog was founded in 2015 and started out brewing at the Taste of Long Island incubator in Farmingdale, now the home of Lithology Brewing. Tweaking Frog’s founder and brewer Joseph Curley hopes to begin full production later this summer and open a tasting room later in the year. Several more breweries on Long Island continue to make progress on finding locations to start operations, building brewing systems and opening tasting rooms, including Fire Island Beer Company in Bay Shore, Long Beard Brewing in Riverhead, Long Beach Brewing and a new brewery planned for West Islip, Secatogue Brewing. Farmingdale Music on Main -- coming August 10 and 24 from 5-9 pm -- featuring live music and sponsored by Lithology Brewing, Croxley's Dark Horse, Library Cafe, That Meetball Place and others. Patchogue Alive After Five -- coming August 3 and 17 from 5-9:30 pm -- featuring live music, craft and food vendors, and sponsored by BrickHouse Brewery, Blue Point Brewing, Bobbique and others. 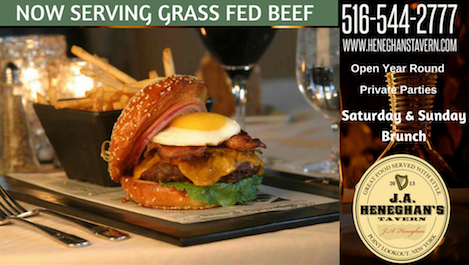 Riverhead Alive on 25 -- coming August 10, 24 and 31 from 5-9:30 pm -- featuring live music, food, local wineries and craft beer from Long Ireland, Moustache Brewing, Twin Fork and others.